WEST CHESTER, PA_ Chester County’s Department of Drug & Alcohol Services announces Chester County’s participation in “Black Balloon Overdose Awareness Day” on Monday, March 6, 2017, a day remembering not only those lost to the disease of addiction, but the friends and family of the loved ones left behind. On this day, Chester County will be joining communities across the nation, encouraging individuals and organizations to come together and publically display a black balloon outside of their homes, businesses or in the community. 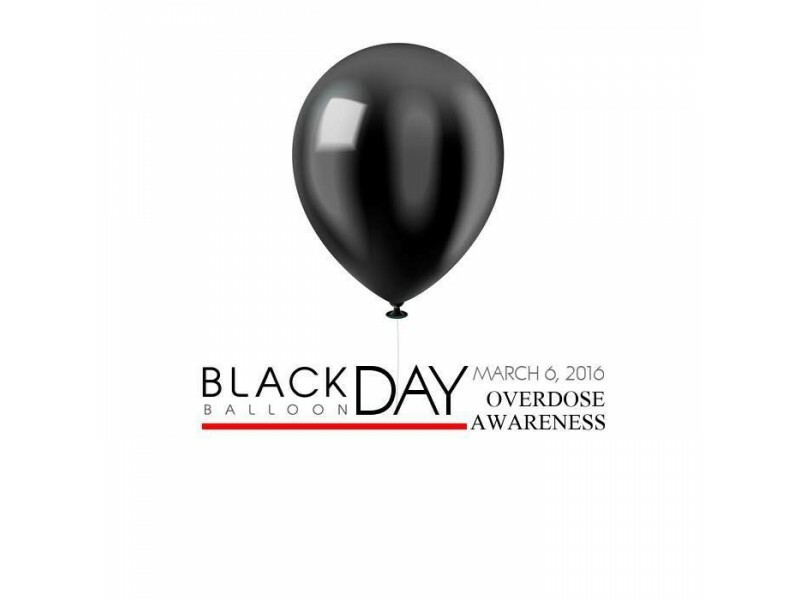 The display of the black balloons is a sign that an individual has been affected by drug addiction or an overdose death. According to Pennsylvania Recovery Organizations Alliance (PRO-A) more than 40,000 people participated in Black Balloon Overdose Awareness Day last year. According to National Council on Alcoholism and Drug Dependence, Inc. (NCADD), it is estimated that 44 percent of the United States – translating to one in four people – report that they personally know someone who has been addicted to prescription painkillers. “Our community, as well as our country, faces an opioid epidemic, and it is important to know that the disease of addiction knows no bounds,” added Vince Brown. Chester County has established a collaborative approach to combating the opioid and heroin epidemic, including the creation of the Chester County Drug Overdose Task Force, which brings together the Chester County Commissioners’ Office, the District Attorney’s Office, the Health Department, the Department of Drug and Alcohol Services and many other County and community partners to address these problems. For more information and resources visit the Chester County Department of Drug and Alcohol Services website: www.chesco.org/216/Drug-Alcohol-Services, or call the Chester County Information and Referral line at 866-286-3767.